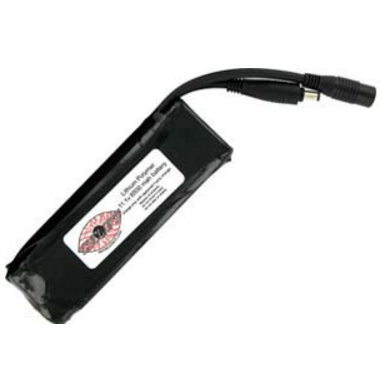 Lithium Polymer replacement battery for Cyclops Solstice HID and Penetrator battery powered Headlights, Will also work on Trailtech helmet mounted lights. The exclusive Stack Pack design allows batteries to be plugged in together for added run time or they can be ran singularly. The lightest most powerful battery technology available.